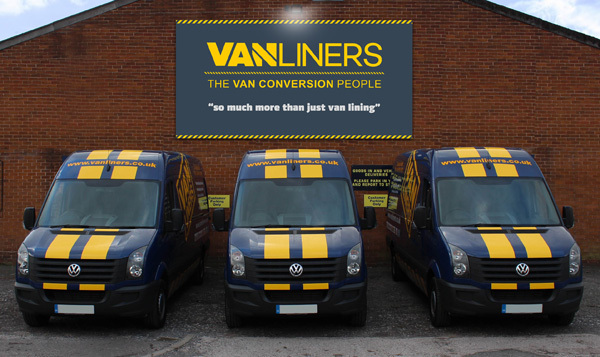 "So much more than just van lining"
Vanliners have been converting commercial vehicles for over 20 years, we pride ourselves on our first class customer services and aftercare support, our team of highly trained technicians have helped us to gain nationwide recognition as one of the leading conversions companies within the UK, our concept is simple, one level of excellent customer service & one level of superior quality workmanship, be it one or one thousand vans we can deliver your requirements on time and on budget with one invoice. Our complete one stop shop service covers all your needs, we will assign you one point of contact to deal with the design, build and all your after care requirements. Our team of highly skilled mobile technicians allow us to carry out a large number of our services at your premises minimising costly vehicles movements and unnecessary down time to your employees. Over the years we have built up excellent relationships with the major vehicle manufacturers allowing your fleet to be delivered direct from factory to our site reducing costly vehicle movements and unnecessary delays with conversion schedules.